The Times New Roman: Fill In the Blank Friday! The last dream you vividly remember? My Pittsburgh Steelers of course! I also really like hockey. I've been a Pens fan since I was very young. I'm a WVU alum, so I cheer on the Mountaineers as well. I love sports! Last thing you ordered online? 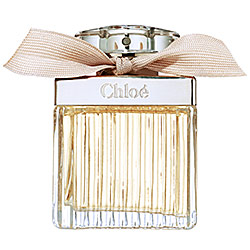 Chloe perfume for my upcoming 26th birthday. I've been wanting to wear it for some time. It's going to be my new signature scent for my mid-late 20s. Currently playing "Fade Into You" by Mazzy Star. It's an extremely dreary day. Mazzy Star sets the tone perfectly. I love this song. The next movie you want to see? I've been dying to see Like Crazy but it wasn't released in my city. I'll probably watch something I've never heard of before on Netflix when I'm done filling out this questionnaire. Midnight and beyond. I'm fully nocturnal and love the energy that the night carries with it. I get all my creativity at the most bizarre hours. Just call me Nyx. One of my best friends is named Valerie. She's absolutely hilarious and has a sick, twisted mind in the same way that I do. She works in finance but I still don't quite get that. She's a music lover like me and enjoys having a good time. We love to frequent the same dive bar, Jack's! She's a true friend and is always there for me when I need her. We've been friends since high school. When we first met, she was unlike anyone else I had ever been friends with but I'm so glad I looked past our apparent differences. We're actually very much alike. I love a good pair of stud earrings and maybe an interesting cocktail ring but I'm not into wearing a lot of jewelry. Necklaces and braclets get in the way and tend to look cluttered on me. I prefer simplicity. But I'm a girlie girl and certainly have a large enough collection. I'm legally blind. I have the type of contacts that you never have to take out for up to a month. I usually change them out every few weeks. I'll occasionally wear my glasses to give my eyes a break. Without corrective lenses, I can see virtually nothing. It's all a blur. 19 was pretty amazing. My first/second year of college. I went to the number 1 party school in the country, had a fantastic fake ID, lots of really memorable times.